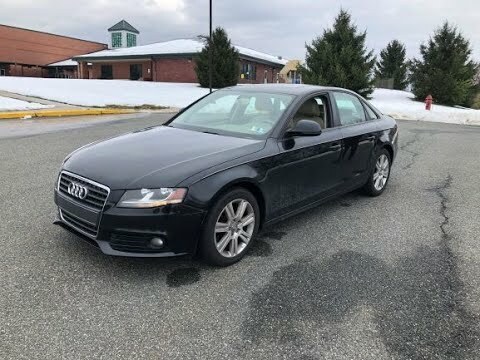 If you want a fun-to-drive convertible that doesn't skimp on luxury, the 2009 Audi A4 Cabriolet is a viable alternative to the omnipresent BMW 3 Series. Soft-top purists will find this is one of the last of the breed. Overall good car: gets you where you need to go and does not feel unsafe. I really do love this vehicle. I plan on buying a newer version when I graduate with my bachelor's degree. The steering on this car is very controlled, which I find very safe. The car drives perfectly well in the winter and snow. I have only had one problem with this vehicle dying because the alternator broke, causing the battery to die. Expensive repairs for a college student (or anyone else for that matter). Great sound system. All over good car. Great car, poor oil consumption. The main issue that I experience is very high oil consumption. It requires a quart of oil every 150-200 miles. Overall, I really enjoy the vehicle. It is luxurious and drives very smoothly. My vehicle has not broken down in the time that I have had it, so this far it has been extremely reliable as I use it to travel back and forth from southern California to northern California and back for school. Very comfortable and reliable. Haven't had any problems besides a flat tire. Easy to fix the tire obviously. Love the color (got a black one). Has a good amount of legroom, but not the best for really tall people (more than 6 feet tall people). Good space in the back (can fit my luggage and my friend when we went to college).